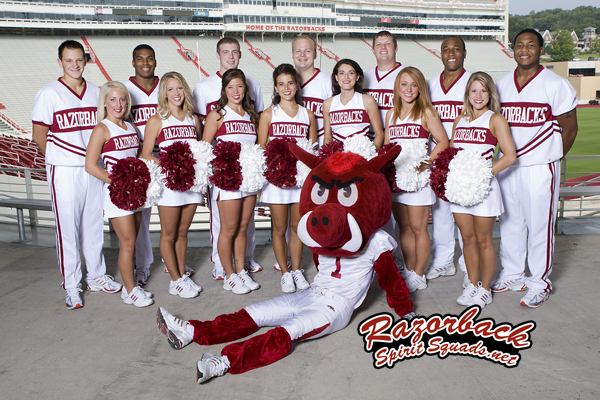 Reason For Nickname: The Arkansas athletic teams has been called the Razorbacks since 1910 after a student pep rally led by then-football coach Hugo Bezdek, who said that the football team played like a band of “Razorback Hogs”. The Pride of Arkansas: One of the south’s greatest basketball programs, the Arkansas Razorbacks have a long storied tradition of excellence. In its history the Razorbacks have gone to 28 NCAA Tournaments and five Final Fours, including a National Championship over Duke in 1994. Along with that, the Razorbacks have won 22 Southwest Conference titles in 76 years of competiton and two SEC Championships since joining in 1992. Coaching Legacy: Arkansas for two decades was home to Nolan Richardson, who along with Eddie Sutton returned the Razorbacks to promise after years of mediocrity. Sutton led the Razorbacks to the 1978 Final Four while Richardson led the ‘Backs to three Final Fours and a National Championship in 1994. Big Man On Campus: Arkansas’ basketball history is filled with great players, ranging from Sidney Moncrief to current Atlanta Hawks star Joe Johnson. Others to fill the bill in Arkansas’ hoops history would include Ron Brewer, Corliss Williamson, Lee Mayberry, Oliver Miller, Hamilton High graduate Todd Day, and Ronnie Brewer, who now plays for the Utah Jazz. Rivalries: Arkansas’ biggest rival is the Texas Longhorns, but since both teams play in different conferences, it’s hard to broker a basketball game between the two rivals. During the Southwest Conference days, Arkansas and Texas were deemed as two of the marquee programs in basketball. Today, Arkansas holds a healthy rivalry with Mississippi State and LSU in basketball. Did You Know? : Eugene Lambert, who coached the Razorbacks to their first Final Four, also took Memphis to their first NCAA Tournament in 1955. This entry was posted on April 14, 2008 at 9:33 AM	and is filed under NCAA Basketball. Tagged: Arkansas Razorbacks, AUTHOR:DOC HANCOCK, Top 25 NCAA Basketball Programs In The South. You can follow any responses to this entry through the RSS 2.0 feed. Both comments and pings are currently closed.